I haven’t sewn much since last Wednesday. We went to Rhode Island this weekend for a family-only Mother’s Day visit (apologies to our RI friends). 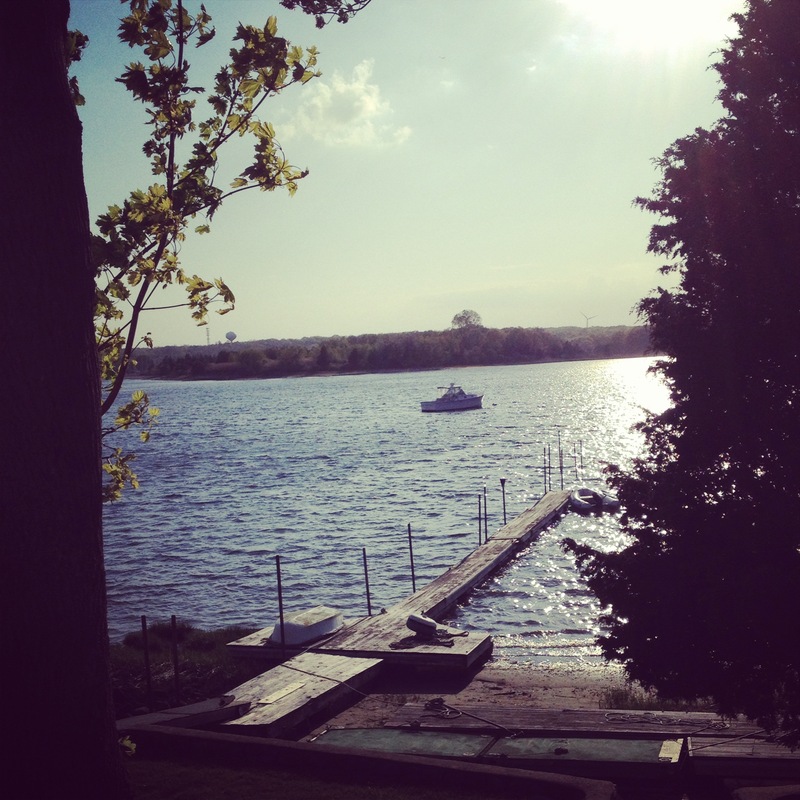 This is the view from my grandparents’ gorgeous house and my uncle’s boat, the Optimist. Tuesday I needed some down time and eye candy, so I went to see The Great Gatsby (the best part was the actress who played Jordan). Also, some fabric therapy. This lovely print is one I’ve had my eye for awhile. 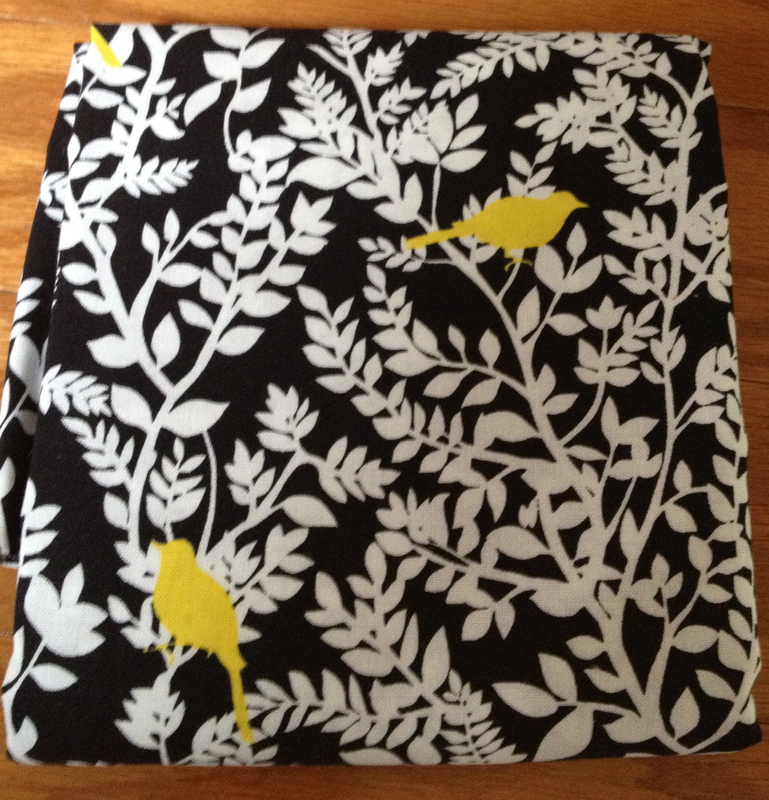 I can’t resist leaves, birds or a pop of yellow, so it’s like this was made for me. I might use it with some of my black and white text prints. For now, I’m just going to hold onto it. And this is a great art deco Anna Maria Horner print that is included in this week’s Work In Progress– the Block Party quilt! I got some more for the back. The pattern is Elizabeth Hartman’s Kitchen Windows and the fabrics are my favorites in royal blue, yellow, teal and navy. The sashing is Michael Miller solids and the background is a gorgeous grey linen. I can’t wait for more blocks to come back so I can lay them all out. This is one quilt that’s going to stay here in my own house on the blue couch. Linking up for WIP Wednesday. What are you working on? I love your kitchen window blocks and that AMH print! This was actually the last yard in the shop! I always seem to fall in love with fabric when it’s scarce. Oooh, that fabric is lovely! No wonder you had to buy it. 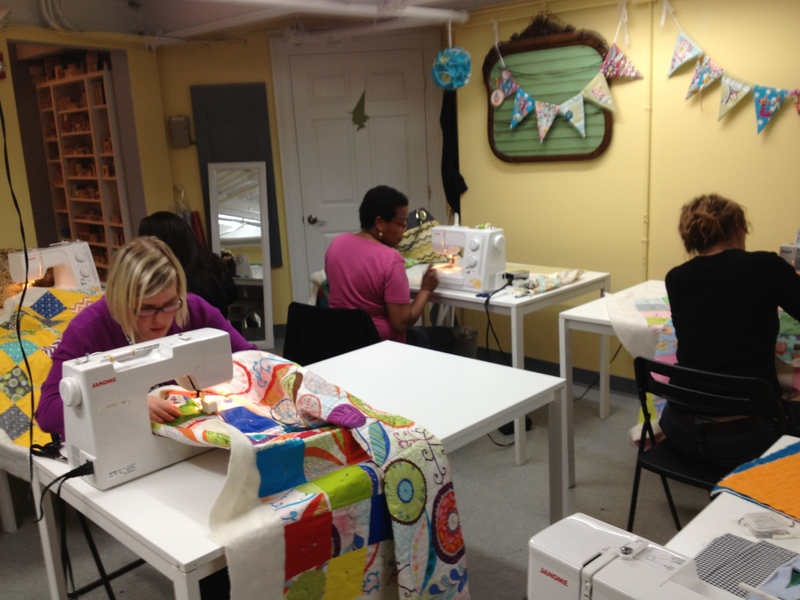 The blocks from your group are pretty and will mae a great quilt. Thanks! I’ll definitely post when it’s all done. Loving the kitchen window blocks you’ve gotten so far! I really like the color scheme – anything with navy is a personal fave. Don’t you just love my focus? hahaha. I seriously can’t stop looking at it and I’m so thankful I’m in your class! I’m so happy to be your teacher! 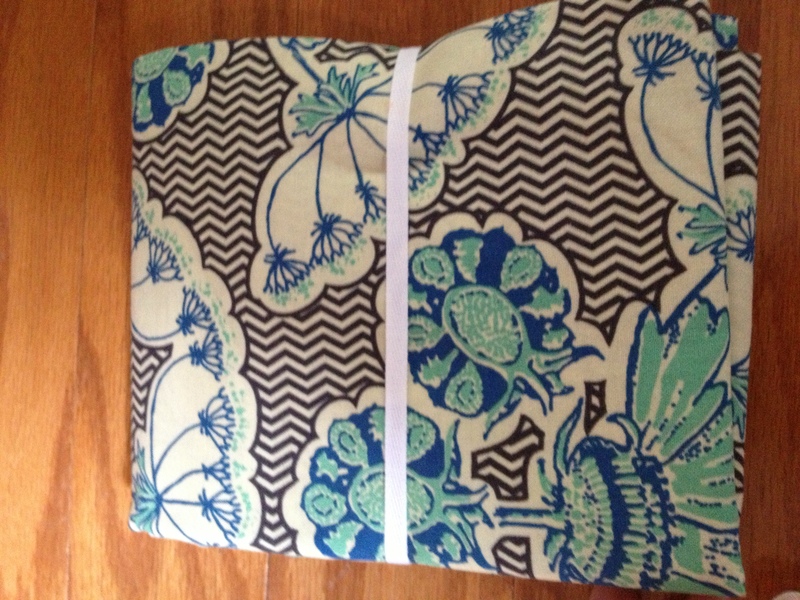 Your quilt is going to be great (don’t be afraid of the binding). That class sounds fun! 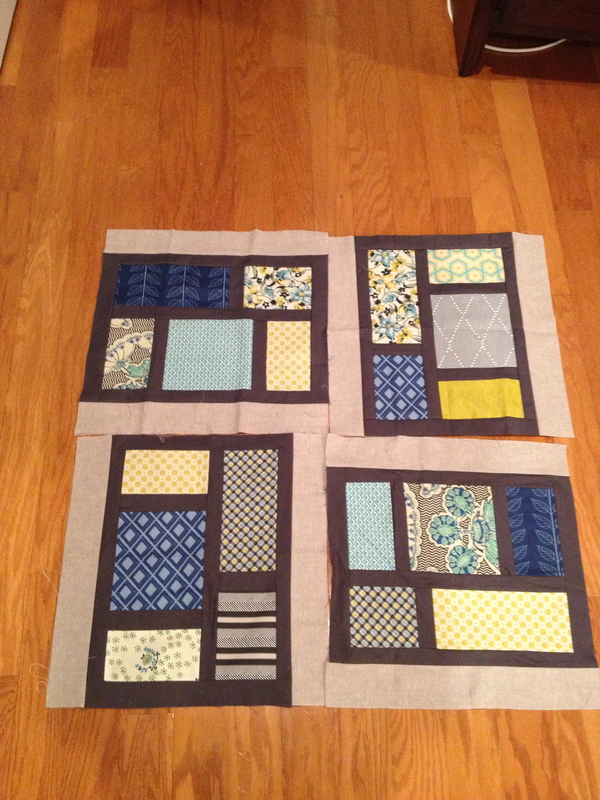 Love the kitchen window blocks, it will be such a great quilt!